Lamu County ahead of others in Registering 20,000 Households to the NHIF universal Cover. 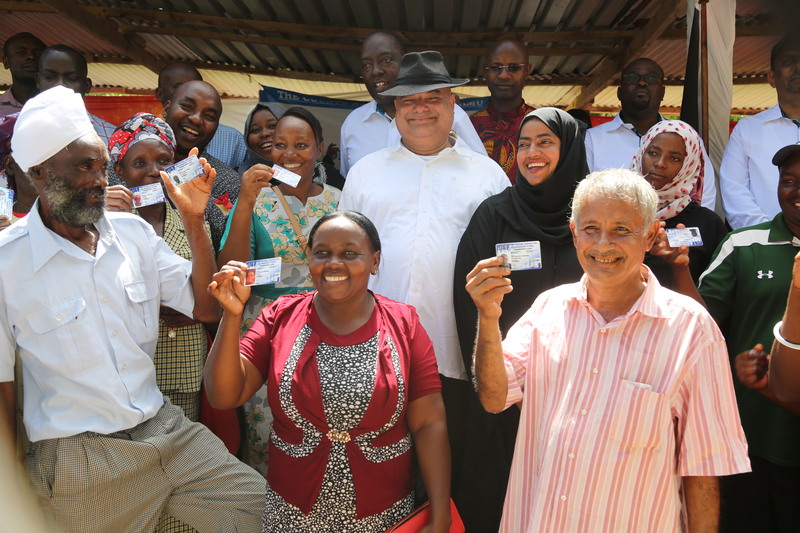 County Government of Lamu 30th October 2018 officially Launched the the NHIF universal cover for 20,000 households.The launch was officiated by H.E Governor Fahim, Deputy Governor Abdul Hakim, Director NHIF, County elected leaders and senior officials from the county Government at Uhuru Gardens in Mpeketoni. “Lamu County leads others in implementing the Universal Health Care Agenda by H.E the President.” says the Director NHIF during the launch. He mentioned that Lamu has a leading Number of those to be registered to the universal care compared to other counties in the country that had initiated the project. The comprehensive cover will cater for all outpatient and inpatient cover, maternity, Renal Dialysis, cancer treatment, evacuation services, scans and all other diseases. Lamucounty In few days had partnered with the NHIF by signing the MoU to offer the health cover to its Mwananchi. Lamu county are doing good job. Copyright © 2019, ICT Department-Lamu County Government . All rights reserved.